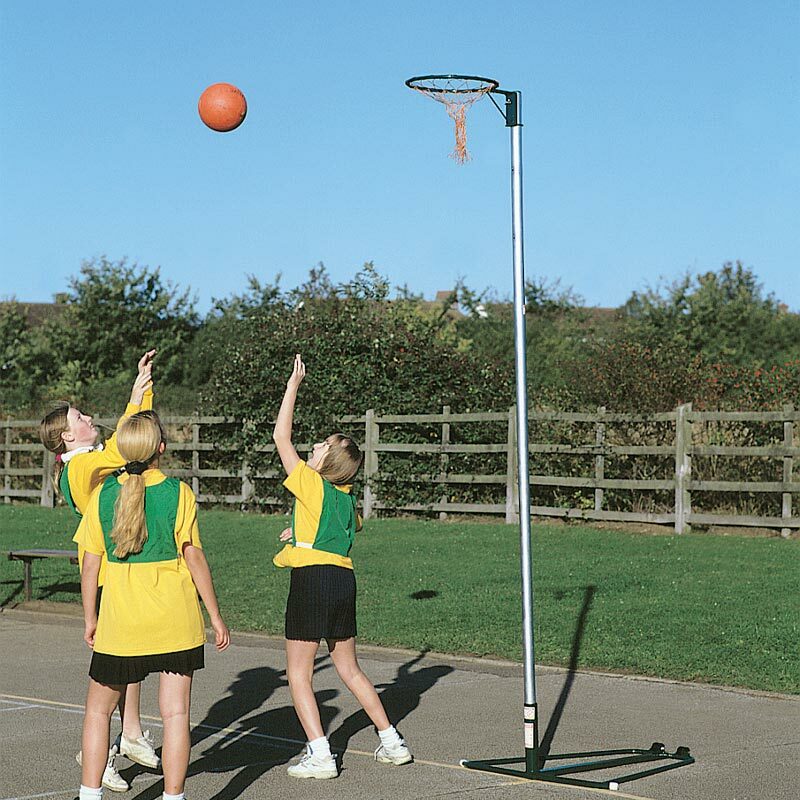 Harrod Sport ® Wheelaway Netball Posts are the ideal freestanding netball posts for school use. Uprights manufactured from 50mm diameter x 1.6mm thick zinc plated steel with punched holes which allow rings to be adjusted to 2.6m, 2.75m and 3.05m heights. Bases are polyester powder coated green. 10mm tubular steel rings with safety collar and nets. 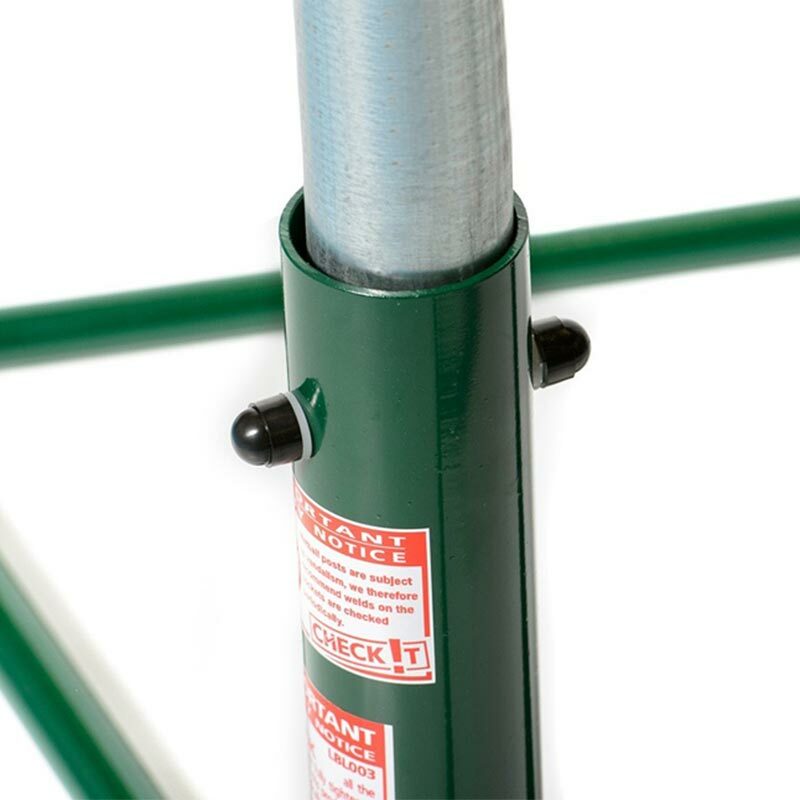 Available as a single base, post, ring and net or a pair of bases, posts, rings and nets. 40kg per pair, 20kg single. Ideal joint birthday present for my girls. Super fast next-day delivery and easy to erect. Good quality and sturdy. 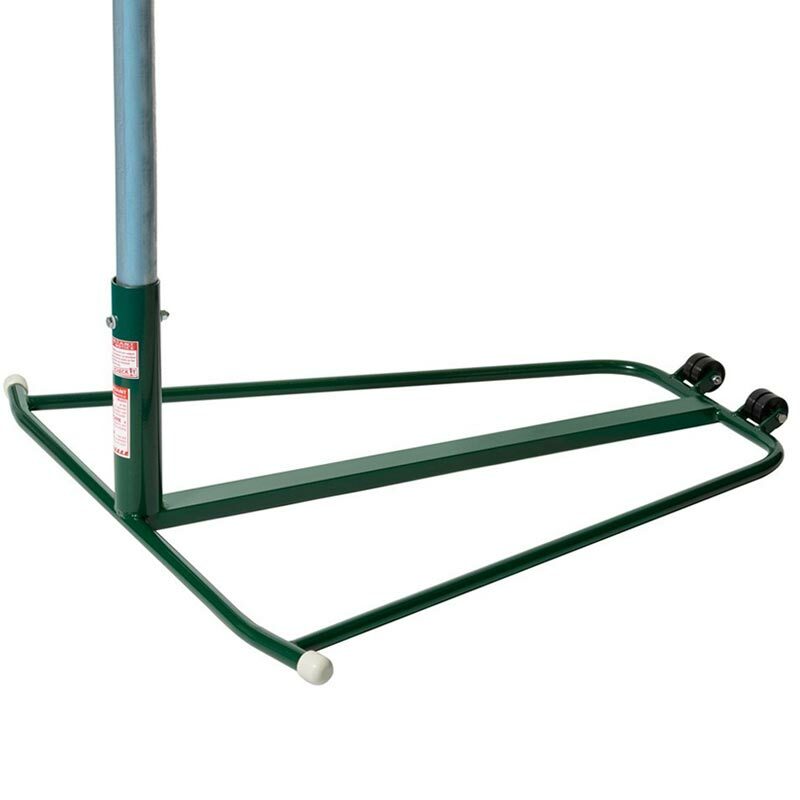 Put our old TP netball post's water-filled base on top as advised by another reviewer. Best-value good quality post on the market and excellent customer service even at 07.40! Many thanks. This product arrived promptly, the net was fairly easily assembled and my girls are delighted with it! I would recommend Newitts and this product to my friends. Overall an excellent netball post for the money however we were a little concerned how unstable it seemed compared to posts used at schools and club. It seemed to jump about alot on the paving so have purchased a bag of sand to add some extra weight to the stand which has done the trick.